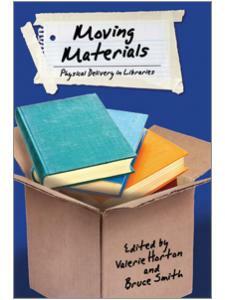 This book will help new library staff understand the full range of activities that take place in today's consortia, while also showing consortia managers, participants in consortial governance, and participating libraries methods for revising current practices, places for expanding services, and adopting new project ideas. Valerie Horton has been director of Minitex since December 2012. Minitex serves Minnesota, North Dakota, and South Dakota libraries with a large resource-sharing network, databases, continuing education, remote storage, and many other services. 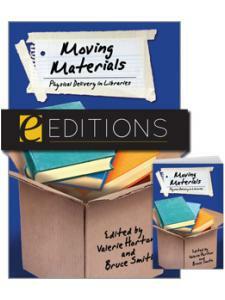 Horton is also the co-general editor for Collaborative Librarianship, and wrote Moving Materials: Physical Delivery in Librariesfor ALA Publications. Prior to working at Minitex, she was the first director of the Colorado Library Consortium (CliC), a statewide library service organization. Before CliC, Valerie was Director of the Library at Mesa State after ten years at New Mexico State University, where she was Head of Systems, and for a time, library budget director/associate director. During her tenure in New Mexico, Valerie received an ALA International Fellowship and spent a year in the Republic of Trinidad and Tobago, where she consulted on how to automate the country's public, school, and government libraries. She started her professional career as a systems librarian at Brown University in Providence, Rhode Island, after graduating from and working in Systems at the University of Hawaii. Greg Pronevitz was appointed founding executive director of the Massachusetts Library System (MLS) in 2010 after budgetary pressures compelled the consolidation of six regional library systems. 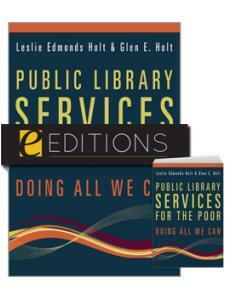 MLS serves more than 1,500 multitype members with physical delivery, shared e-content, training and professional development, consulting, mediated interlibrary loan and document delivery services. Prior to the formation of MLS, Pronevitz had extensive experience as founding director, managing the provision of services to libraries in consortial environment at the Northeast Massachusetts Regional Library System and assistant director at OHIONET. His professional library experience includes positions in technical services at Ohio State University, Chemical Abstracts Service, and the Center for Research Libraries, where he began his career as a cataloger for Slavic materials. He received an MLS (including two semesters of study on a graduate student exchange with Moscow State University in the former Soviet Union) and a BA in Russian language and literature from State University of New York at Albany. 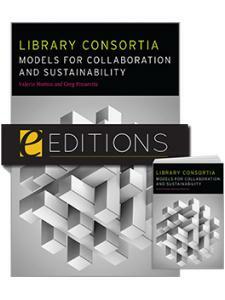 "The editors and their team of experienced contributors discuss the past, present, and future of library collaboration, emphasizing the activities of consortia, the key services they provide, and their management techniques. Sixteen fascinating case studies show what can be achieved by diverse libraries working together. 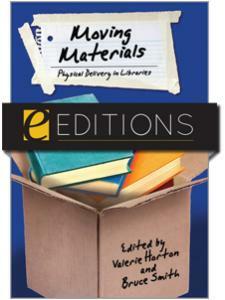 This important volume is a valuable resource for professional collections in academic and large public libraries." 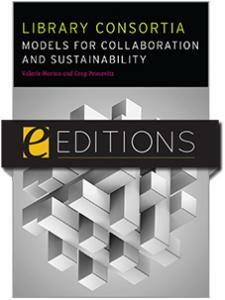 "The authors have been careful to include case studies for many different consortia types including multi-type groups. Although the primary audience of the work are those involved with consortia or their initiatives; it will also be beneficial to any librarian who would like a deeper understanding of the range of library collaboration currently taking place." "The book presents a very thorough, multi-faceted understanding of the past, present, and future of consortia. For those who think that collective purchasing is the sole raison d'être of library consortia, think again … As someone who has worked with library consortia in Canada for many years, I can say unreservedly that anyone involved with library consortia (e.g., librarians, administrators, publishers) wishing to understand the remarkable breadth of collaborative activity would benefit from this book. For librarians, regardless of the library service or department in which you work, consortia will affect your work, your opportunities, and your career." "Covers significant ground ... The historical tenacity of library consortia, and the many creative projects that successfully meet a wide range of member needs, speak to the sustaining value of the collaborative relationships they represent. Consortial leadership is hard work on a constantly shifting foundation, but Horton and Pronevitz's exploration of the subtleties and potential of library cooperation, with active commitment from all parties, makes a strong case for the ongoing value of consortia."